Following last month’s preview of a major new update to its BBM for iPhone messaging software, BlackBerry today released BBM 2.6.1.31 featuring an improved support for the iPhone 6 and iPhone 6 Plus alongside additional iOS 8 compatibility updates and other enhancements. There’s a new timer option and you’ll also notice certain improvements for the message retraction feature and refinements to timed pictures and messages. 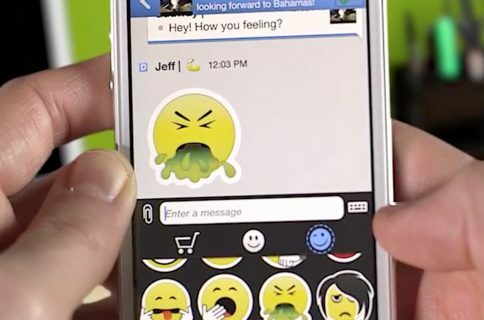 In addition to a refined look on iOS 8 and improved layout for the new iPhones, the refreshed messaging app now makes it possible to send stickers in group chats. 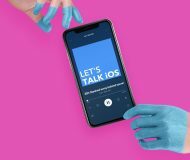 Timed messages, which let you set how long contacts have access to messages and pictures shared in a chat, can now be viewed multiple times until the timer expires. Another nice-to-have: you can now set the message sending timer to 60 seconds, lifting the previously set limit of fifteen seconds considerably. In other words, you can now allow your friends to see your timed messages and pictures as many times as they like before the 60-second timer expires. This is what the app looks like on an iPhone 6 Plus. 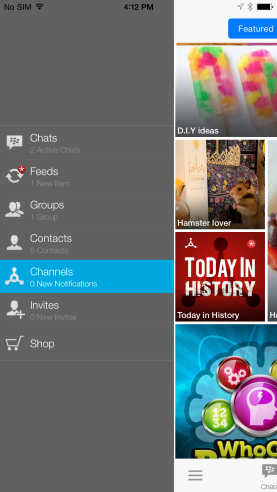 We’ve refined BBM to look more at home on iOS 8. Improved layout for iPhone 6 and 6 Plus. Send stickers in group chats. Timed pictures and messages can now be viewed multiple times until the timer expires. Added a new 60 second timer option. Note that timed messaging and message retraction are available free through the end of January, when they’re scheduled to get folded into a BBM subscription. The previous update brought out support for message retraction and timed messages, a quicker sticker picker, high-definition image transfer, BBM Bulletins and music discovery options in BBM Feeds. The 59.4-megabyte app requires an iPhone with iOS 7.0 or later.